Should you ditch Windows Defender and get Avast (or any other premium antivirus software)? 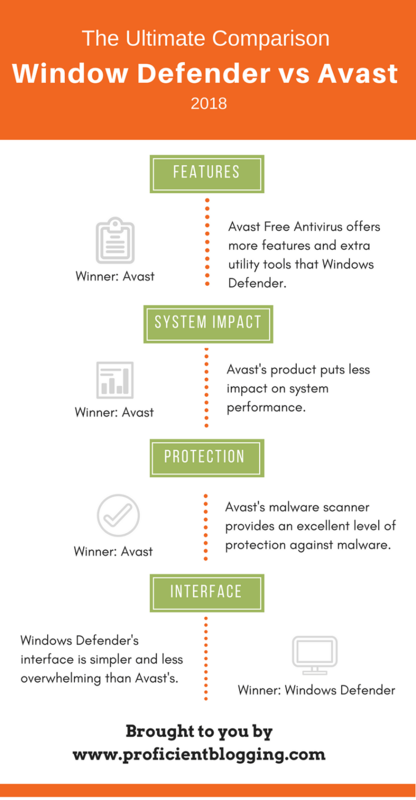 Read this comprehensive Windows Defender versus Avast comparison to make an informed decision. Do you know the AV-Test lab, which a well-known independent security institute, claims to catch over 350,000 new malware samples every day? Malware attacks are happening at an alarming rate these days, and it’s become almost impossible to imagine a safe digital life without a reliable security program. Every link clicked, purchase made, email opened, software downloaded, and movie streamed is an opportunity for hackers to break into your internet-capable devices. The problem with free antivirus programs is that they usually offer limited malware protection with no advanced features or extra utilities. For these reasons, we strongly urge you to invest in a sophisticated security suite, like Bitdefender Total Security 2019, for all-round protection and complete peace of mind. In a rush? See the graphic below to see the summary of this detailed comparison. Avast is the winner as it offers more security-enhancing features and extra utilities in its security suites than Windows Defender. Also, independent tests prove that Avast is better than Windows Defender in terms of both malware detection and the impact on system performance. Windows Defender vs Avast: Which Offers More Features? While it is true that Windows Defender Antivirus (formerly called Windows Defender) is not the most feature-rich computer security solution you’ll ever come across, it does have all the essential features an antivirus product is supposed to provide. Built into Windows 8/8.1/10 and available in Windows Vista/7 as Microsoft Security Essentials, Windows Defender can run different types of scans, such as a quick scan, a full scan, a custom scan (for checking specific files and folders), and an offline scan (deep malware scan that runs before the Windows can fully load up). Windows Defender’s best feature by far is its built-in firewall; it monitors your network traffic and prevents hackers from gaining access to your computer via your network. A Fresh Start feature (cleanly reinstalls the latest version of Windows while keeping most of the settings and personal files intact) is also part of the Windows Defender Antivirus. Another handy utility that is included in the software is a SmartScreen utility. It blocks potentially dangerous websites and unsafe downloads and also checks for unrecognized apps on the web. But the downside of this feature is that it only works with the Microsoft Edge browser — making it of little use in the modern multi-platform world. Windows Defender also has built-in parental control features which you can use to control the websites your children can visit and limit the number of hours they can spend online. You can also limit their access to only the apps suitable to their age group. Again, parental control features are only available to you if you use the Microsoft’s own browser. 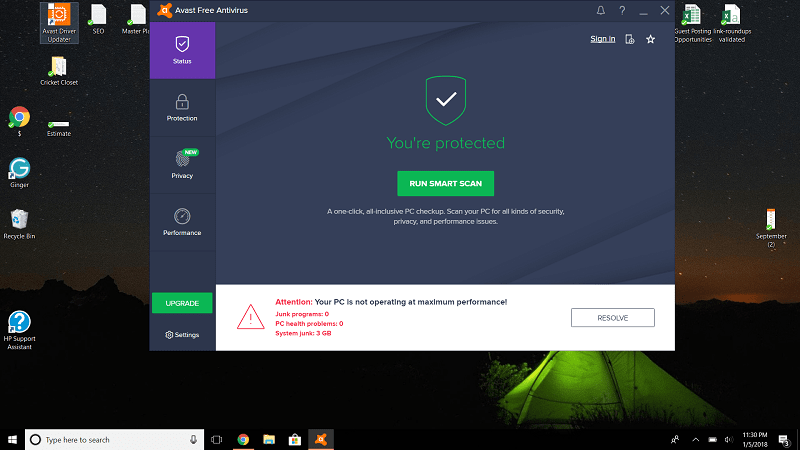 On the other hand, Avast Free Antivirus not only boasts a variety of security-related features but also packs several useful utilities that other antivirus companies usually include in their premium suites. You can run different types of scans with Avast, such as a smart scan, a full scan, a boot-time scan (scans for malware before the Windows loads up). The freeware includes a Wi-Fi Inspector tool (helps you find vulnerable networks and settings in your home network) and a limited Software Updater (tells you about other outdated applications). If you’re using any other antivirus solution alongside Avast, you can set it to run in the passive mode. A silent/gaming mode feature (provides interruption-free experience), a rescue disk option (removes deeply rooted malware infections), and an unlimited password manager are also available in the free offering. And yes, email client protection is also part of the software. Avast also offers two browser extensions: Avast Online Security and Avast SafePrice. The former warns you if you’re on a dangerous website and blocks those known to be involved in phishing practices, while the latter compares prices of products from around the web to help you find the best deal while shopping. To enjoy premium features and top-level protection, you must upgrade to any of the Avast’s premium plans listed below. (We recommend Avast Internet Security). With Avast Pro Antivirus, you get everything that comes as part of the freeware, along with a Sandbox option (lets you test suspicious files in a virtual environment so they don’t wreak havoc on your PC), a Real Site feature (prevents hackers from hijacking your DNS settings and stealing your sensitive data), and premium in-product support. 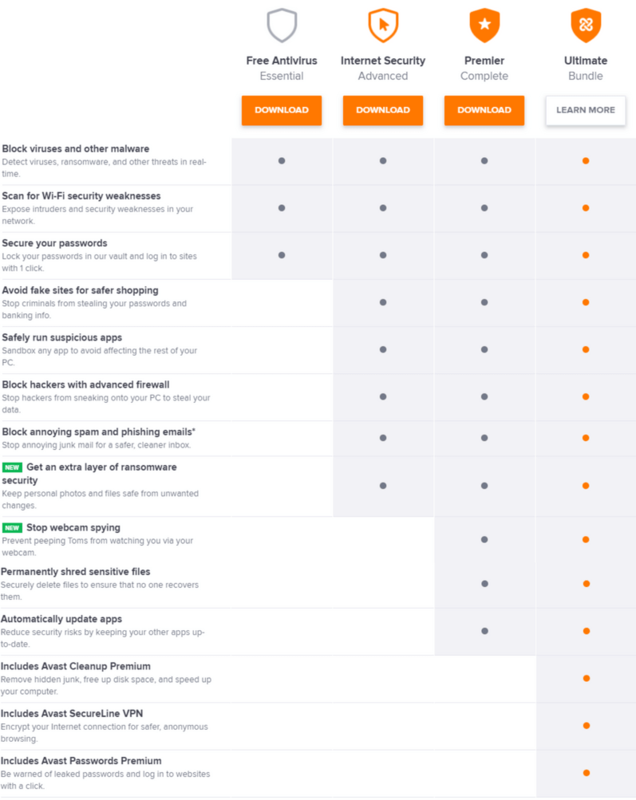 The company’s most popular suite, Avast Internet Security, adds an advanced firewall, an extra layer of protection against ransomware attacks, and an anti-spam filter (blocks junk email and phishing attacks). Another level up is Avast Premier. It includes everything that comes with the “internet security” plan plus a Data Shredder (deletes your sensitive files permanently so no one can recover them), an automatic Software Updater, and also includes protection against webcam spying. Avast Ultimate is the company’s top-tier suite. In that, you get everything jammed into the “Premier” suite plus a clean-up utility, an unlimited VPN, and a premium version of Avast’s password manager. Windows Defender vs Avast: Which Provides Better Malware Protection? Both Windows Defender and Avast use signature-matching detection (comparing files against a huge database of known malware threats) to catch known malware and heuristic analysis (monitoring behavioral attributes of files) to detect previously unseen malware (also called ‘zero-day malware’). To find out which product offers better protection, I’ll look at how both software fared in the most recent tests conducted by AV-Test and AV-Comparatives — two well-known and trusted independent security institutes. It received 5/6 rating in the “protection” category from the security experts at AV-Test. Avast, on the other hand, came up with perfect results; it detected 100% of the zero-day and widespread malware in both months – earning an excellent 6/6 star rating from the security experts. In similar tests conducted on Windows 7 platform in July and August 2017, both software were tested against 198 zero-day and 10,973 widespread malware samples. Avast once again showed its dominance; its detection rates were 99.9% and 100% in both months for both types of malware samples, securing a perfect 6/6 star rating from the security professionals. Windows Defender received 5/6 star rating courtesy their 99.0% and 97.0% detection rates against zero-day malware in July and August respectively and also blocked 99.8% of widespread malware in both months. Austrian lab AV-Comparatives is another trusted security institute that publishes reports on various aspects of antivirus solutions. 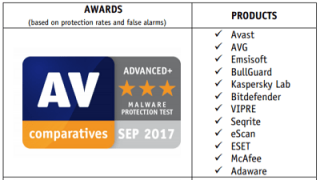 malware (before, during, or after execution), Avast received an excellent “ADVANCED +” award with 99.99% protection rate and only returned 9 false positives (i.e. misidentifying harmless file as malware). protection rate was 98.84% and returned 6 false positives. 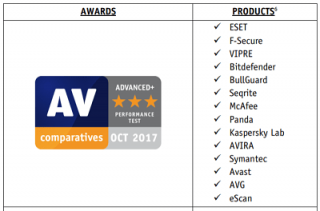 In AV-Comparatives’ real-world protection test, which aims to gauge the protection level of antivirus products against real-world conditions, Avast once again earned a perfect “ADVANCED +” status, while Microsoft’s product only managed “ADVANCED” award. So, it’s clear that Avast’s solution provides a lot better overall protection than Windows Defender Antivirus. Also, it’s worth mentioning that only Avast provides protection against less risky items, such as adware, Potentially Unwanted Programs (PUPs). Windows Defender vs Avast: Which is Lighter On System Resources? It is the part of antivirus software’s job to provide real-time protection and to do that, they continuously run in the background just like any other application, consuming some percentage of system resources all the time. It is imperative that antivirus software not only provide an excellent level of protection but also doesn’t consume too much of system resources. Again, I’ll look at AV-Test and AV-Comparatives’ reports to see which software puts lesser strain on system performance. In AV-Test’s “performance test,” they look at how different antivirus products slowed down the system on while performing typical tasks, such as launching popular websites, downloading and installing widely-used applications, and copying of files. And here’re the results of the same tests when done with Avast installed. Both software received 5/6 star rating in “protection” category from AV-Test’s experts. Note that these tests were conducted on Windows 10 platform in Sep-Oct 2017. AV-Comparatives’ performance test, which took place in September last year, examined the impact of different antivirus products on system performance by carrying out typical tasks, such as copying files, archiving/archiving, installing/uninstalling applications, downloading files, and browsing websites. awarded “STANDARD” rating because of its higher impact score of 30.4. In short, it is evident that Avast puts less impact on system performance than Windows Defender, but you can rest assured that neither of them will cause significantly slowdown your computer. Windows Defender vs Avast: Which Offers Better User Interface? Everybody prefers using a software that provides a clean user interface and easy-to-use navigation. 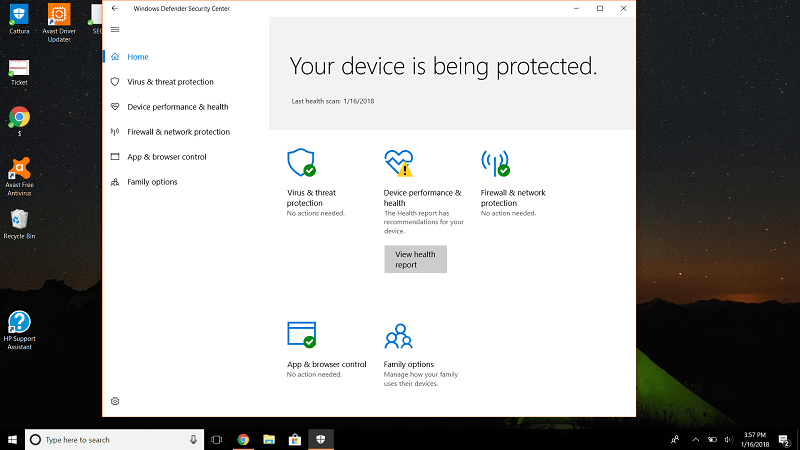 Windows Defender’s interface used to be slightly in the past but that’s no longer case after the recent update, which not only modernized the interface but also turned it into a fully-fledged security center from where you access all the security features and settings. The home window, apart from showing protection status and last health scan date, provides a way access different modules. The green check mark represents that everything is fine while the red one indicates a problem. At the bottom left, there’s a button which takes you to the settings page. Windows Defender’s interface is also resizable, which is a bonus. Avast’s interface is elegant too, but it may seem a little more complicated and overwhelming to use when you compare it with Microsoft’s security center. There’s a vertical menu on the left that has four tabs: status, privacy, protection, and performance. Each tab contains submenu items (features) associated with it. The red color signals a problem while the green indicates that everything is okay. You can access settings page via a button located at the bottom-left corner. It must be mentioned that Avast’s freeware shows unobtrusive ads and also contain premium features that are not included in the free version. So, it’s evident that Windows Defender not only provides a minimalistic user interface but also doesn’t show ads to get you to upgrade. Windows Defender vs Avast: Which is Less Expensive? Since Windows Defender doesn’t offer a paid suite with additional features and utilities, no comparison can be drawn in this category. A premium antivirus product has become more of a requirement in the modern, technology-driven world. It makes sense to say that you should never rely on a free product — especially when your security is at stake. I am an Avast user for the last 4 to 5 years. Avast was good back then but something has happened to it and I have stopped using it. I have been using Avast Internet Security for some time now. I am running a laptop on Windows 10. I have a question: Is it possible to run Windows Defender and Avast Internet Security at the same time? Would you want to? Looking at some of the settings in Windows Defender now, it looks like Avast Internet Security is managing those options at the moment eg the firewall options. Does that make sense? Is that a good approach? Yes, you can run Avast and Windows Defender at the same time. You can put Avast in the “passive mode.” But I am not really sure why you’d want to do that as Avast Internet Security is pretty comprehensive in terms of features and protection. The only reason I can think of why you might, is that one of them might detect something amiss that the other one does not. The downsides I see is that they might not ‘play well together’, there may be a performance hit, and you have to know about how to work with both of them, and maybe have to spend time learning and implementing getting both of them to ‘play well together’. In the section on impact on system resources, you conclude that Avast has less impact, but looking at the two associated tables, it appears that Avast performs significantly worse on all but one of the tests listed in the tables.Since Avast is said to perform better on the other testing mentioned in that section, is it possible that the two tables are mislabeled, with the lower table actually reflecting Windows Defender’s results, and the upper table (where the only “worse” score is for slower installation) those for Avast? These results are from the last year’s tests. Windows Defender performed much better in the recent test conducted by AV-Test and AV-Comparatives. I will update it very soon. If you want extra features and utilities along with great malware protection, go with Avast Internet Security or Avast Ultimate (if your budget allows you).